I was walking along the road which I usually walk along. It was a hot, sunny day, but you can’t trust the weather to remain the same. Similarly, you can’t expect the day to go as you wish. As I walked, my foot hit something on the ground. As I bent to look, I saw a hat. A hat was fallen on the road. It seemed like it had been lost rather than abandoned, for it was in good condition and I don’t see any reason to throw away a perfectly good hat. I wore it; the hat was certainly someone’s whose head was as big as mine, presumably someone as old as me. I have always been curious in these thirty years. 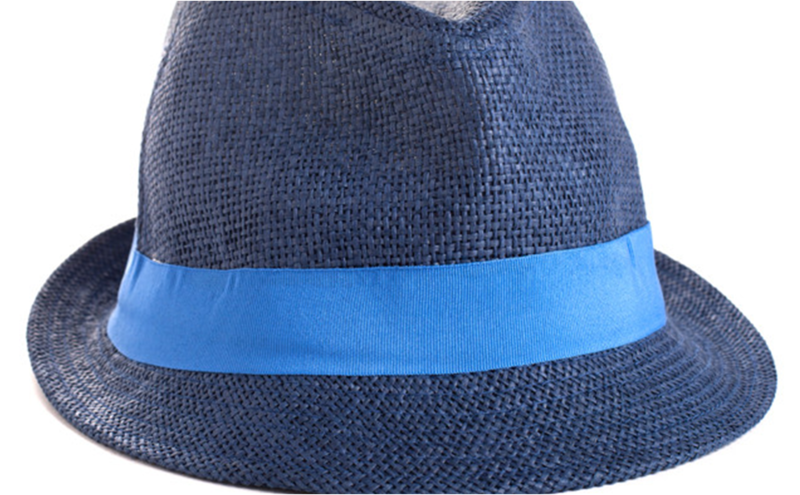 This broad-rimmed, black hat, with a blue stripe going through it, was certainly one which I could use for myself. With this thought, I raised it upon my head, which had been burning under the deep yellow sun till now. By the time I neared my house, the sun had gone brighter, and I would have fainted had I not worn that hat. A police station was situated right next to my house. Normally this position would ensure that I am protected from anti social elements, but as I said before, things cannot be expected to be the same. I walked past the station. A policeman, as his clothes suggested he was, was standing outside and staring down into a gutter. He turned when he sensed me. His head went up to notice the hat on my head. A smile appeared on his face. He walked up to me. I told him that I found it left on the road. “Shouldn’t you return it to the owner?” I told him that I did not know whose it was. He took the hat, and looked underneath it. “Well, it says ‘Joe’ here. Now what do you have to say?” I had clearly not noticed name; it would seem my curiosity was not enough to look at the hat from all angles. I thought I had seen all there was to the hat, but I guess you can always miss a few details. He struggled at the word, but he managed to say. I’m not sure whether I could say it at all. He adorned his head with his loot as I helplessly watched. I never expected that I would fall to bullying by a policeman, especially for a hat. I guess it was my time to act. I acted. Delivering a quick slash, I dropped the hat from his head, picked it up and ran as fast as possible. The policeman followed me, of course after recovering from the shock. He never saw it coming. Then it was his turn to surprise me. Screaming as if the hat were his, he pursued on a cycle. A rather unfair advantage, in my opinion. By that moment, I had grown desperate. Seeing a cycle on the road would not change my course of action on a normal day, but today it was just what I needed. I grabbed the cycle, sat on it and began to increase the distance between me and the policeman. The weather had settled to a cool one by now, but the heat of the pursuit blinded me to the change. We arrived at a bridge. I had often seen the bridge and crossed it when I had to buy food. In the distance behind me I could hear someone say, “Hey, my bicycle!” and then, “Hey, give me the hat!” It was easy to recognize who said what. The guy with the cycle thought he could park it anywhere and no one would come running in that direction and steal it to abscond from a greater force. The pursuit continued. At the moment I had thought nothing of my destination; I just wanted to save the hat. As such, I had no plans of encountering cats crossing the road either. It appeared before my vehicle on such a short notice that I swerved to my right, almost falling off the bridge. I did not fall, though a while later I heard a splash. Looking back to check the status of my pursuer, I failed to see what lied ahead of me and crashed into the grocer’s shop. Today there was nothing that lied in my future which I could see, anyway. The grocer walked out of the pile of oranges, and threatened to beat me up. I held up an attacking pose, but I couldn’t trust myself about defeating the grocer. Just then, the water-drenched policeman arrived. He ran up and stood next to me. At that moment I was sure of his intention. What I did not know was that the grocer would run forward and knock him out. The grocer assumed the policeman was my friend and came to help me. I guess the grocer did not expect that the policeman was my enemy. I thanked him and offered the hat as a reward. The biggest surprise of the day came now. The hat was his. He said he had lost it in the morning and could not find it, a statement which I found strange, considering that I found it rather easily. He was happy, and let me off without asking more questions. I guess some days take such an unexpected turn that you begin to doubt everything. You have to trust me, though, that this is the end of the story.